Please find our current fee structure below. The below fees exclude any additional tests (Pathology, Radiology etc ),or procedures (e.g. ECG). Pathology and Radiology tests will be billed to the patient directly by the relevant service provider. Request a prescription at no hassle whatsoever. Simple fill out your details and we will be in touch. Brampton Family Practice aims to provide comprehensive medical care to both individual patients and families within a caring personal setting. We understand the value long term relationships and a number of our clients families have been patients here for three generations. Our premises are easily accessible and child friendly. Brampton Family Practice aims to provide comprehensive medical care to both individual patients and families within a caring personal setting. 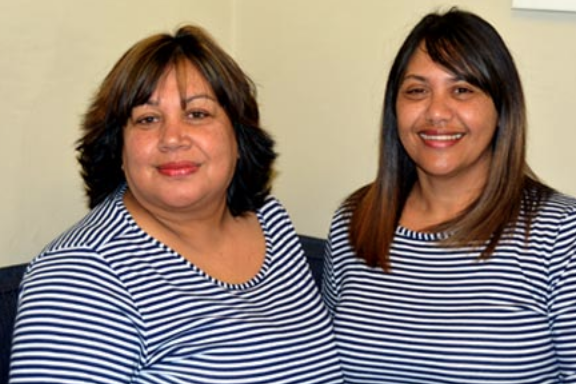 We understand the value of long term relationships and a number of our clients families have been patients at our GP practice in Claremont for three generations. Our premises are easily accessible and child friendly. We see our role as providing medical care for immediate problems and long-term care for more chronic conditions. As GP’s we believe that we should be able to deal with a wide range of medical problems with up to date knowledge tailored to the individual’s needs. All our doctors attend regular refresher lectures and complete at least 50 hours continuing professional development annually. We know that you are busy, that medical problems are never convenient and that sitting in a doctor’s waiting room is not your favourite place to be. With four doctors available we are able to offer appointments at short notice and any blood tests or X-rays needed are easy to arrange at the nearby hospitals. Our doctors each have particular interests such as women’s/men’s health, child health, or skin problems, and you can request to see a particular doctor for a specific problem. Other services we offer include well women checks, annual check-ups, blood pressure monitoring (including 24 hour blood pressure monitoring), ECGs (including stress/effort ECG), on site cholesterol, sugar, blood group, haemoglobin and HIV testing. We also have the necessary equipment and expertise to remove skin lesions through cryotherapy and perform minor surgical procedures such as cyst removal or removal of toenails. With the assistance of our qualified nursing sister we are able to offer intravenous infusions, whether it be for rehydration in an acute illness, or treatment of a chronic condition, such as iron infusions and infusions to treat osteoperosis. Our doctors are experienced at assessing and treating many chronic medical conditions at a primary care level. We are also able to assist with primary care assessment and management of conditions such as dementia, ADHD, anxiety, depression and stress related burnout. Our qualified practice nurse, Tamara Kuhlmann, is available to assist with telephonic queries, emergencies and a range of other problems. We also have 2 physiotherapists, Sarah Jones and Marion Wills as well as 2 psychologists, Alison Burns and Anne Saunderson-Meyer at Brampton practice for your convenience. We have a comprehensive knowledge of the local medical network, both specialist and para-medical. When a referral is necessary we are able to advise on the most appropriate specialist for you and your particular problem and arrange an early appointment for you. Escalating medical expenses are a growing problem for us all and we undertake to help minimise your expenses whenever possible. We understand that funds are limited, and we will apply our minds before spending your money! When arranging any tests or treatment we will ensure that you get maximum value for your money and aid reimbursement from your health insurer. Kindly note this practice charges fees that are in line with SAMA guidelines. We do not submit accounts to medical Aids. Accounts are to be settled by the patient at the time of consultation. Our experienced nursing sister Tamara Kuhlmann is available daily to assist with any wound care issues and wound dressing requirements. Come and speak to our experienced nursing sister Tamara Kuhlmann about your vaccination requirements. This can be assessed by one of our doctors after referral for bone density scan, and if intravenous treatment for osteoporosis is indicated, this can be administered at Brampton Family Practice, under the supervision of one of our doctors and with the assistance of our nursing sister. Iron deficiency anaemia is a condition caused by low iron levels in the blood. It can result in extreme fatigue, shortness of breath, low exercise tolerance, dizziness and even affect your immune system functioning. Occasionally iron levels can be so low that treatment with iron tablets isn’t enough. by one of our doctors, and if intravenous iron is indicated, this can be administered at Brampton Family Practice, under the supervision of one of our doctors and with the assistance of our nursing sister. Spirometry measures the amount (volume) and flow of air inhaled and exhaled by your lungs. This test can be done by one of our doctors, with our spirometer, and helps with assessing for any abnormalities in breathing patterns. This can assist in the diagnosis of conditions such as asthma and chronic obstructive airway disease. Minor lumps and bumps can be removed through a small surgical procedure under local anesthetic. This can be done in our doctors’ offices after assessment by one of our doctors. Minor lumps and bumps, growths, cysts, abscesses and certain skin lesions can be removed through a small surgical procedure under local anesthetic. This can be done in our doctors’ offices after assessment by one of our doctors. Many minor skin lesions can be safely treated with cryotherapy (freezing with liquid nitrogen). This can be done in our doctors’ offices after assessment by one of our doctors. This is only available on certain days of the week so please ensure to book an appointment ahead of time should you require cryotherapy treatment. Come and speak to our nursing sister or any one of our doctors about having your cholesterol tested while you wait. The test requires a finger-prick blood sample and will show the full breakdown of your cholesterol profile. An electrocardiogram (ECG) is a good screening tool used to assess your heart by recording the electrical activity of the heart. This is a good tool used to pick up any cardiac problems. In some cases, a stress or effort ECG may be performed. This entails a small amount of physical exercise being done while attached to the ECG. This enables us to assess the electrical activity of the heart when it is having to work harder to keep up with exercise demands, enabling us to pick up problems which might not be evident at rest. ECG and stress ECG can be done in any of our doctors’ offices. Blood pressure can fluctuate throughout the day, and sometimes the best way to diagnose high blood pressure is by checking blood pressure readings over a 24-hour period. Come in to have your blood pressure checked and if necessary, make a booking to be fitted with a 24hour blood pressure monitor. Our nursing sister will explain the process and fit the blood pressure monitor and then see you the next day again. One of our doctors will interpret the results and advise if treatment is necessary. Come in to have your blood pressure checked and monitored with our nursing sister Tamara Kuhlmann. We stock HIV rapid test kits and HIV testing can be done on site in our doctors’ rooms. One of our doctors will provide all necessary counselling and any further investigations and treatment required should your test come back as positive. An annual check-up is recommended for anyone over the age of 40, or anyone with a chronic medical condition. At your annual checkup we will conduct a thorough physical examination, check your blood pressure, sugar, cholesterol and do a urine test. You will also have an ECG done to check your cardiac health. We will also recommend blood tests be done, depending on your age and health requirements, to screen for chronic illnesses and check for any abnormal physiological functioning. With a wealth of contraceptive choices available, not one size fits all. Come and speak to our doctors about which contraceptive options will be right for you. The Mirena or other intrauterine contraceptive devices can remain in your body, with good contraceptive effects, for up to 5 years. After this time, they need to be replaced. Our doctors are experienced at removal of intrauterine contraceptive devices and this can be done in our offices. Implanon is a highly effective contraceptive which is inserted just under the skin of your upper arm, and can remain there, with its contraceptive effects, for up to 3 years. Insertion of the Implanon requires and small local anesthetic injection and insertion of the Implanon with a special needle. This can be done in our doctors’ rooms. Removal of the Implanon can also be done safely in one of our doctors’ offices. HPV vaccination and dramatically reduce your risk of cervical cancer. Vaccinations can be given from the age of 9, or any age thereafter, even into adulthood. Gardasil vaccination schedule is given as 3 injections over a 6-month period for anyone over the age of 15, and anyone younger than 15 is given only 2 doses. Come and speak to one of our doctors or our highly experienced nursing sister Tamara about getting vaccinated. A well women check-up is a good medical screening for any sexually active women, or any women over the age of 25. Well women checks at Brampton Family Practice include a thorough physical examination, including breast examination, blood pressure and sugar testing, urine test and pap smear. Referral for mammograms and bone density scans will be arranged if necessary. This is also a good time to discuss any contraceptive needs or hormone replacement therapy.